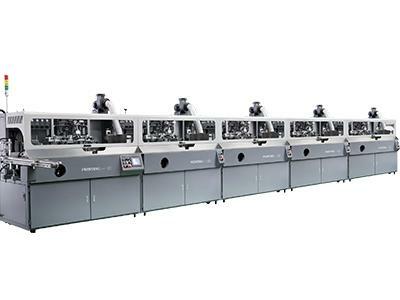 The APM-S102 is designed for multi-color decoration of cylindrical/ova/square/plastic glass bottles,cups,hard tubes at high production speeds. It is suitable for glass and plastic containers printing with UV ink. Need registration point for multi-color cylindrical bottle printing. Reliability and speed make the S102 ideal for off-line or in-line 24/7 production.